As Senior Vice-President, Bell Media Agency: Brand, Creative, and Marketing, Arklay oversees the complete marketing, promotion, design, brand, and media planning /buying services for all Bell Media properties. Recognized internationally as an industry leader, Arklay has led the Bell Media Agency to hundreds of wins at the annual Promax and Broadcast Design (BDA) awards including Global Marketing Team of the Year honours in 2013 and 2014. Arklay has led campaigns for some of Canada’s most acclaimed TV shows and events including: THE AMAZING RACE CANADA, MASTERCHEF CANADA, ORPHAN BLACK, SAVING HOPE, 19-2, LETTERKENNY, THE IHEARTRADIO MUCH MUSIC VIDEO AWARDS, THE JUNO AWARDS, THE GREY CUP, THE WORLD JUNIOR HOCKEY CHAMPIONSHIPS, and most recently the hit dramas FRONTIER and CARDINAL. Arklay previously served as the Vice-President, Creative and Brand, where he oversaw the creative brand development of the company’s media properties. He was also responsible for brand management, protection, and design elements for all Olympic Games marks prior to and during the Vancouver 2010 Winter Games and London 2012 Summer Games. 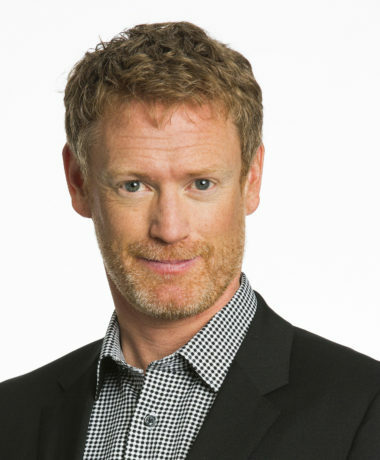 Arklay also served as Director of Creative Services for CTV Inc.’s family of networks for six years, leading the creation and evolution of the visual brand identity of such flagship properties as CTV’s national and local news, ETALK, TSN’s SPORTSCENTRE, and Discovery Channel’s DAILY PLANET. Arklay served on the board of directors for PromaxBDA and the Vancouver Film School’s Faculty of Design advisory board.